Depuis le jour from "Louise"
Robyn has worked with many opera companies in the country including Sarasota Opera, Caramoor in Katonah, NY, Vero Beach Opera, and Opera del West. She is comfortable singing opera, sacred classical music, broadway/musical theatre, and jazz. I hired Robyn to sing a couple of Arias from La Boheme for my father's 90th Birthday Party. She was very attentive in making this happen. Unfortunately, she became ill at the last minute, but she immediately set up an alternative opera singer for me. He was great! His name was Edgar, and he truly made the evening perfect. My father loved him! Thank you Robyn for taking care of this wonderful event for us. Oh Andrea I’m so glad all worked out!! I was very sorry to miss your special evening but am glad I found a suitable replacement! I hope you get many more birthday celebrations with your Dad!! Best wishes! She was absolutely amazing ! What a powerful voice ! What a talent ! What a gift ! I hired her for a small group of friends in my home and she made it feel like we had a full house ! Her performance was so powerful , so captivating, so emotional that we didn't want her to leave us ! I highly recommend Robyn for your event from 2 people to 300 +. I will definitely contact Gigsalad again to hire her again and again. I was very impressed with Robyn's singing!!! She really helped my soprano section at our Easter service. She came prepared and on time to both the rehearsal and warm-up. In my choir, I lack sopranos, so Robyn's voice was key in achieving the right balance in the choir. With one rehearsal, she mastered all the parts flawlessly. I definitely would like to hire her again! Once hired, I will discuss what solo music you want at your event, or will offer suggestions if you're not sure. I can sing as a soloist, or can collaborate with other musicians and offer group repertoire. Once repertoire has been settled, we can discuss whether I need accompaniment or not. Then, rest assured that on the big day, the music will be flawless! In 2016, Ms. Lamp created the role of Romaine Patterson in Michael Ross’ politically charged opera Not In My Town in Opera Fusion’s world premiere production. The Palm Beach Arts Paper praised her “large and attractive voice, well-suited for her big aria…” and her “warmth and personality”. 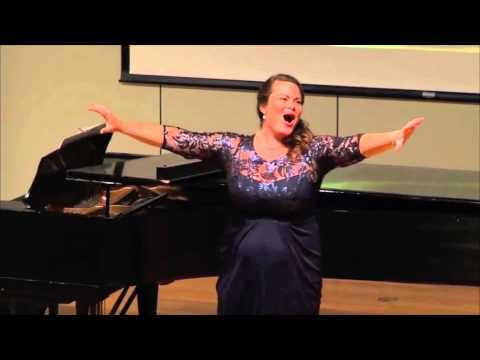 She also took first place winner in the prestigious Lois Alba Aria Competition and was a finalist in the South East Region of the Metropolitan Opera National Council Auditions. 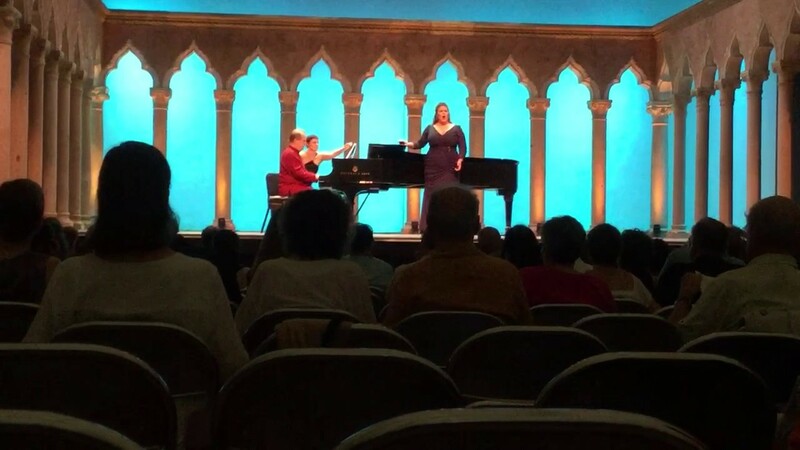 She has appeared as a Sarasota Opera Young Artist, covering Nedda in Pagliacci and performing scenes as Elettra (Idomeneo) and Natalia Petrovna (Hoiby’s A Month in the Country). In addition to her affinity for Bel Canto and contemporary roles, Ms. Lamp is an accomplished Mozartian, counting among her roles Donna Elvira (Don Giovanni), Fiordiligi (Cosi fan tutte), the soprano soloist in Vesperae solennes de confessore, and early in her training, Susanna (Le nozze di Figaro). Her repertoire also includes Mimì (La bohéme), Elvira from Verdi’s Ernani, Blanche de la Force (Dialogues of the Carmelites), and the title role in Anna Bolena. Ms. Lamp’s work on the concert stage is critically acclaimed for “displaying a wonderful covered sound that blossomed richly as the music ascended.” (The Boston Musical Intelligencer). Her appearances have included Messiah, arias from Korngold’s ravishing Die tote Stadt, Ralph Vaughan-Williams’ Dona nobis pacem, Haydn’s St. Nicolai and Lord Nelson Masses; Fauré’s Requiem, Handel’s Messiah, Vivaldi’s Gloria, and Seely’s Brave Souls & Dreamers in Boston, Baton Rouge, Newburyport, Delray Beach, and Fort Lauderdale. Ms. Lamp holds a Master of Music degree from Louisiana State University and a Bachelor of Music from Florida Atlantic University. Ms. Lamp can sing for your wedding, funeral or party. She is most comfortable singing with live accompaniment, but also is able to provide backing tracks to sing with, as well as singing a cappella. I usually sing without amplification, but if your event is outside I may need a microphone and amplifier. These are things you, or your DJ, will need to provide. And many, many others. I am able to quickly learn any request you have. Comfortable singing in a range of genres including opera, classical, pop opera (Boccelli, Brightman, Il divo) musical theater, classic jazz, and folk songs.